picked up the Hornet boat Friday and just got it home tonight (10:21PM Sunday: Photos tomorrow) Well I did find out that it is one of the last production boats that Richard A McDerby (founder of Yellow Jacket) made.. The boat was made by the Co he started up after the Yellow Jacket Boats plant was shut down. He named the Co Yellow Jacket Industries Inc.
As far as people in the Yellow Jacket Group it is the only known surviving one of its kind. And I knew that the D U racer that was a production boat made By McDerby Conatser Boat Company (later becoming Yellow Jacket Boat Co). We also knew that it most likely is the only known surviving one of its kind. I do have 2 boats made by him between the first and last. Attached is a trademark registration by Yellow Jacket Industries for "Hornet" boats. Lists first use at about Sept. 18, 1956; use in commerce Jan. 9, 1957. The trademark was filed March 20, 1957. There are a couple mentions of Yellow Jacket Industries in the Daily Labor Report regarding a union vote. Google Books has a snippet available of the first mention, nothing available from the following issues. You might be able to locate hard copies at a university library. This peaked my interests. I did a little quick research. "Yellow Jacket Boat Co., Inc." filed incorporation papers with the Texas Secretary of State on 02 January 1954. Actor cowboy Roy Rogers became vice president and chairman of the board about November 1956. Yellow Jacket Industries, Inc. came into being about November 1957. 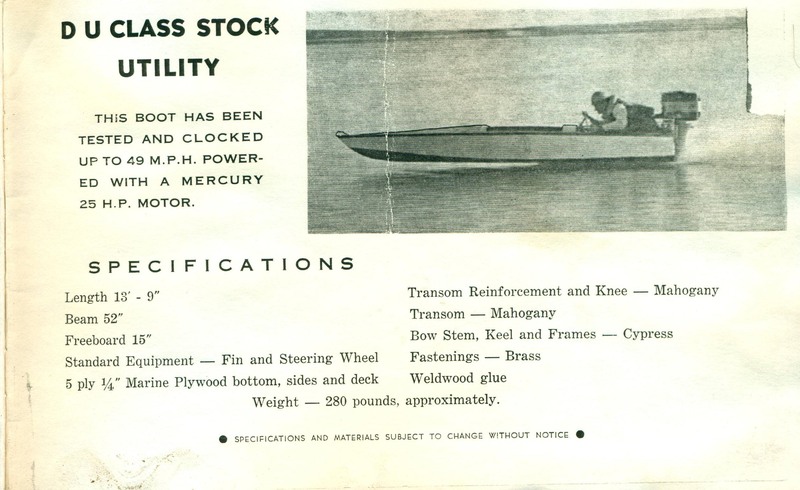 About September 1959 controlling interest in Yellow Jacket Boat Co., Inc. was purchased by Giller Tool Corp of Dallas. R.A. McDerby remained president and Roy Rogers remained vice president. David Giller was chairman of the board. The molded hulls were made for Yellow Jacket by Industrial Shipping of Nova Scotia, Canada. Later, one of the employees departed and started making the hulls adjacent to the Yellow Jacket factory. That became "Theakston Corp" run by George Wesley Theakston. They operated until 1964. After Yllow Jacket closed, Stinger Boat Company emerged with Elvin E. Gaines as head. They operated 1959-1963. Well to bring Ta"ll up to date on some of my finds, I bought a small race boat a few months ago. Ti had a Yellow Jacket dash tag. My first thought was that someone striped a old Yellow Jacket (YJ) to build it, however I found a metal tag in the boat for running a boat on Lake Overholser dated 1953. That meant that someone would have cut up a boat less than 4 years old. Later an Vic Brown (a YJ employee) said that the boat was used by Mac and Roy to test motors on Lake Texoma.